A judge on Tuesday refused to bar demonstrators from gathering outside court during the trial of Boston Marathon bombing suspect Dzhokhar Tsarnaev, rejecting a request from his lawyers who worry that "self-appointed supporters" who believe the attacks were a government plot could hurt his chances for a fair trial. 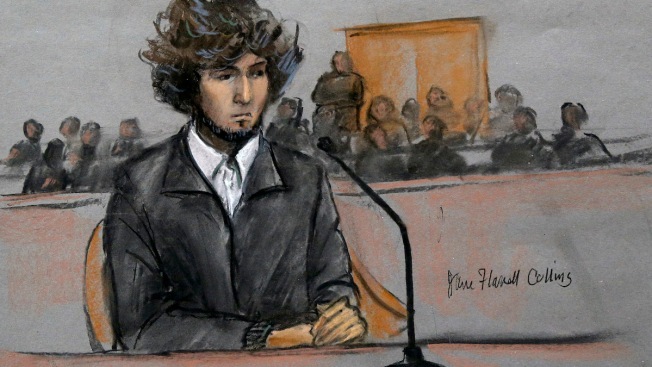 Tsarnaev's lawyers asked the court in December to ensure that jurors, survivors of the bombings and witnesses at the trial can leave the courthouse without having to pass through a "gauntlet of demonstrators bearing insulting and inflammatory messages." They referred specifically to an incident outside the main entrance of the courthouse before Tsarnaev's final pretrial conference in December, when Marc Fucarile, a man who lost his right leg in the bombings, had an exchange with the demonstrators. Some of the demonstrators believe that the injuries and deaths caused by the explosions were faked as part of a conspiracy while others question whether authorities have proof that Tsarnaev is responsible for the bombings. Fucarile held up his prosthetic leg and moved it back-and-forth toward the demonstrators, saying: "That's proof right there." 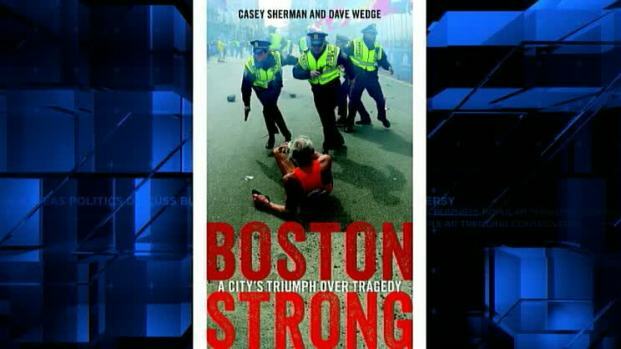 "Boston Strong: A City's Triumph Over Tragedy"
Casey Sherman and Dave Wedge join Jim Braude to discuss their book, which looks at the Boston Marathon bombings, the Tsarnaev brothers and the inspirational stories of the survivors. "The continuing presence in the immediate vicinity of the courthouse entranceways of demonstrators — including those who gather to challenge as fabricated the injuries suffered by the survivors as they attempt to attend the proceedings — poses a grave threat to the fairness of the defendant's trial," Tsarnaev's lawyers wrote in a court filing. They said they were concerned about "the natural but false inference that the defendant and his counsel agree with the outrageous conspiracy theories that are being so vociferously advanced by demonstrators claiming to be the defendant's 'supporters.'" Judge George O'Toole Jr. formally rejected the request Tuesday through an order entered in court. The order said the judge had denied the request verbally in December. The 2013 bombings killed three people and injured more than 260. Tsarnaev, 21, faces the possibility of the death penalty if convicted. Jury selection is ongoing. On Tuesday, O'Toole, prosecutors and Tsarnaev's lawyers continued questioning prospective jurors. One woman was quickly excused after she said she works as a receptionist at a law firm that "is representing the little boy's family." She confirmed that she was referring to the family of Martin Richard, the 8-year-old boy who was killed in the bombings. She did not describe the nature of the firm's representation. Tsarnaev's lawyers have argued that the trial should be moved outside Massachusetts in part because of the personal connections many people have to the case. The 1st U.S. Circuit Court of Appeals heard arguments last week but has not yet issued its decision. Another prospective juror questioned Tuesday, a supervisor for patient financial services at Tufts Medical Center, was allowed to leave after she said she saw "a lot of people covered in blood" brought into the hospital's emergency room after the bombings.